The Global Studies program offers a multidisciplinary major that focuses on important issues such as the origins and implications of diversity and interdependence among nations, cultures, regions and peoples. Political science and international studies professor Jennifer Pribble has been awarded collaborative funding from the University of Costa Rica’s competitive thematic grant program for the project, “Social Policy During Latin America’s Expansionary Phase (2000-2013)." History professor Carol Summers published "Scandal and Mass Politics: Buganda's 1941 Nnamasole Crisis" in the International Journal of African Historical Studies. Joireman Article Dr. Sandra Joireman published, “Intergenerational land conflict in northern Uganda: children, customary law and return migration,” in the journal Africa. Dr. Sandra Joireman recently published Protecting future rights for future citizens: children’s property rights in fragile environment, in Oxford Development Studies. Dr. Sheila Carapico shared her expertise on Yemen with multiple media outlets, including ThinkProgress, after the death of former Yemeni President Ali Abdullah Saleh. Melissa Salyk-Virk, '09, recently completed a master's degree focusing on peacebuilding and transnational security at New York University's Center for Global Affairs. She is working as a contractor for the United Naitons Counter-Terrorism Committee Executive Directorate craftiing a research report that focuses on counter-narratives for terrorism and terroist recruitment. Abbey Warchol, '13, is working as project coordinator for the E-Collaborative for Civic Education. Her project offers electronic courses on topics including human rights, cyber activism and security, and student advocacy, to support active citizenship and civic leadership in Iran. Sarah Bibler serves as South Asia program coordinator at the International Foundation for Electoral Systems, an organization that supports citizens’ right to participate in free and fair elections. 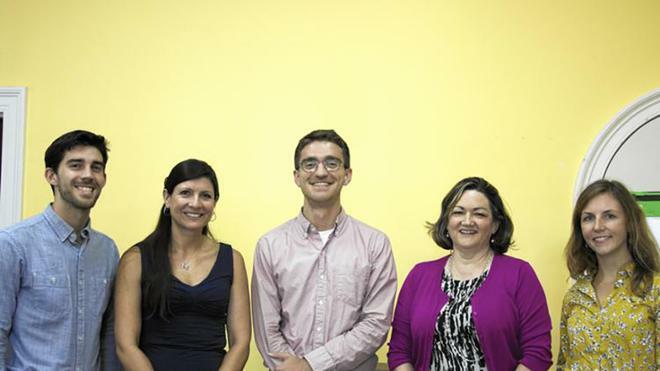 Zach Lager, '09, founded his own non-profit, the Local Development Catalyst Network (LDCN). The organization just opened a primary school in Nguineia, Mozambique, and is also working on a community reforestation project in that community. David Salisbury, University of Richmond associate professor and chair of the Department of Geography and the Environment, has received a grant from the Pan-American Institute of Geography and History to research environmental challenges in the Amazon. The Richmond World Affairs Council will host University of Richmond political science professor Sheila Carapico for the event, “Global Dimensions of Middle Eastern Conflicts” on Oct. 8. 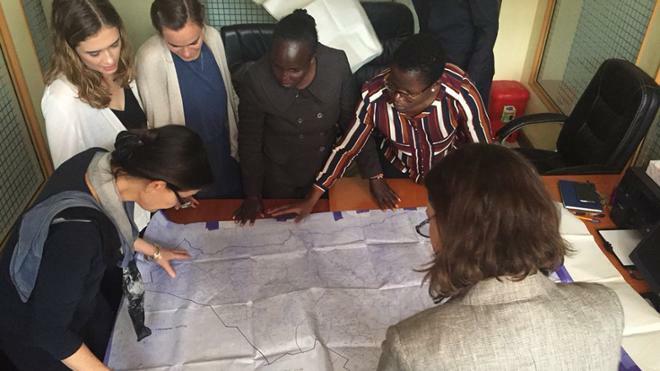 Faculty and Students Research Kenyan Settlement SchemesPolitical science professor Sandra Joireman and Spatial Analysis Lab director Kim Browne traveled with three student researchers to Kenya, where they worked with the National Land Commission to digitally map Kenyan settlement schemes. Learn more. Recent University of Richmond graduate Jackie Sirc, of Pittsburgh, has been awarded a Fulbright research grant to study at the University of Geneva's Institute for Citizenship Studies. Three scholars from the University of Richmond were awarded Fulbright grants for 2017-18, the top number in the Bachelor’s institutions category. University of Richmond junior Rylin McGee, of Rochester, New York, has received a Gilman scholarship. The University of Richmond is embracing Danish culture Nov. 13-17 in celebration of International Education Week. UR is incorporating “hygge,” the Danish concept of finding pleasure in small things. The 13th annual African Film Weekend will be held Sept. 29 through Oct. 1 at the University of Richmond, Robins School of Business, Ukrop Auditorium. University of Richmond junior Megan Higgins has been awarded a U.S. Department of State Critical Language Scholarship to study Chinese in Tainan, Taiwan. Taylor Johnson, a history and Russian studies double major who graduated from the University of Richmond earlier this month, has received a Fulbright English Teaching Assistant grant. University of Richmond history and international studies professor David Brandenberger has received a Fulbright grant for his research on Russia’s political landscape during the 1940s and 50s. University of Richmond senior Ryan McEvoy of Brooklyn, N.Y., has received a Fulbright English Teaching Assistant grant. 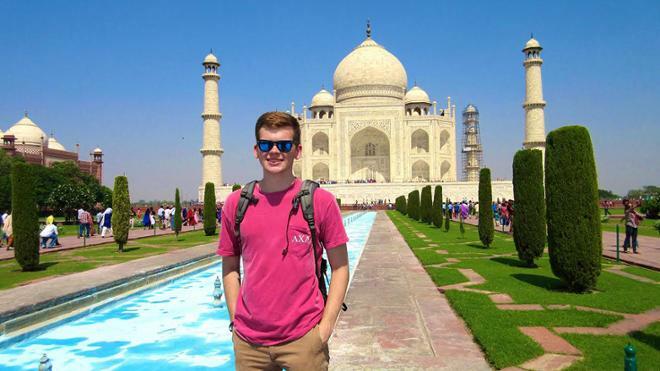 Ryan McEvoy, '17, explores different cultures and religions through his classes, research, and study abroad. Travis Henschen teaches government and history and is working to open a Baltimore charter school. Anna Ellison, ’17, used her background in Arabic and her interest in law to work with CAIR-Chicago, the Council on American Islamic Relations.